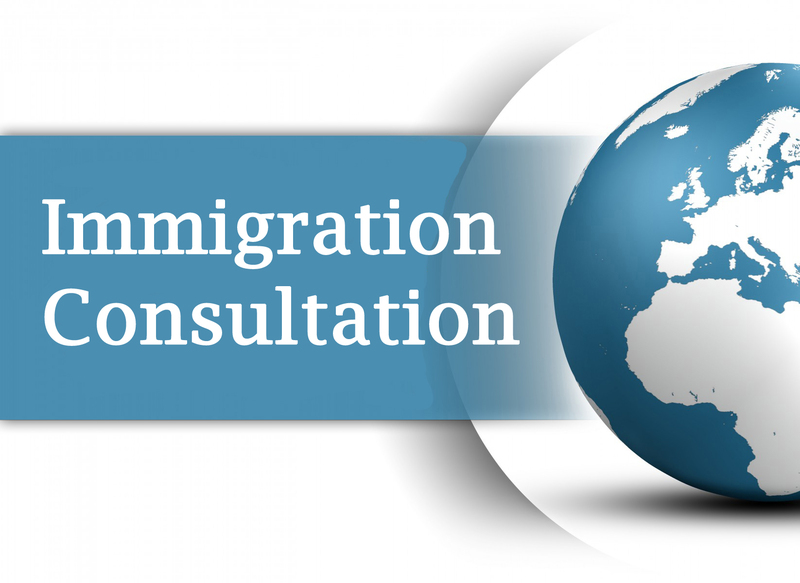 *Immigration Consultation – Many people have questions, concerns and issues regarding their family immigration case and related topics such as: Fiancee Visa, Spousal Visa, Green Card, Family Immigration, the IMBRA – International Marriage Broker Law, Waivers, the Affidavit of Support, Premarital or Prenuptial Agreements, Concerns about Past Visa History, Post-Visa issues regarding Social Security Cards, Driver’s Licenses, Financial or Criminal History Complications in their case, Problems with USCIS Immigration, the National Visa Center, the U.S. Consulate and various other concerns. Some clients wish to handle their visa case themselves for budget or other reasons, and would like a consultation to walk-though the visa process, including review of the necessary forms and documents. *Our Office will handle: Consultation with you by Telephone and/or E-Mail, and provide clear, precise and timely answers to your questions (verbal, written and E-Mail responses). Our Office will conduct any needed research or review of documents, as part of the consultation. However, this service does NOT include legal representation or factual investigation, international telephone calls, our signature on petitions or documents, or contact with USCIS, NVC, U.S. Consulate, Notary, Priest, Government Officials or others on your behalf. PLEASE SEND OUR OFFICE AN E-MAIL WITH YOUR REQUEST FOR CONSULTATION AND YOUR CASE TOPIC OR ISSUE. YOU MAY USE OUR E-MAIL ADDRESS OR THE “CONTACT” PAGE ON OUR SITE. THANK YOU. Speak with Gary Bala, USA Immigration Attorney, with 35+ Years of Legal Experience matched with Travel Experience, including through Latin America, Asia and the world. Mr. Bala has extensive expertise handling hundreds of family immigration visas, especially Fiancee and Spousal Visas, and consultations. Mr. Bala is a member of the American Immigration Lawyers Association, and his service is rated “AV” (Preeminent) from Martindale Legal Directory, their highest rating.